Anchored with a line ashore in paradise! Furiends we’re having such a pawesome time in Greece. We’re really living the dream. We’re anchored with a line ashore around the rocks. We’re very safely tucked into a beautiful bay. The humans had a BBQ on the beach last night with our Furiends from SV Fubbs and I enjoyed some alone time stargazing. Today we’ve popped into a sweet little village to get some fresh food and the humans are loving the ice-coffee selections. I’m enjoying lots of time underneath Nauti, the Walker Bay. There’s a lovely breeze that blows through every afternoon and it’s so nice to keep cool. I’m sorry I’ve not been able to reply to some emails and your comments I will ASAP. I hope you’re all well. 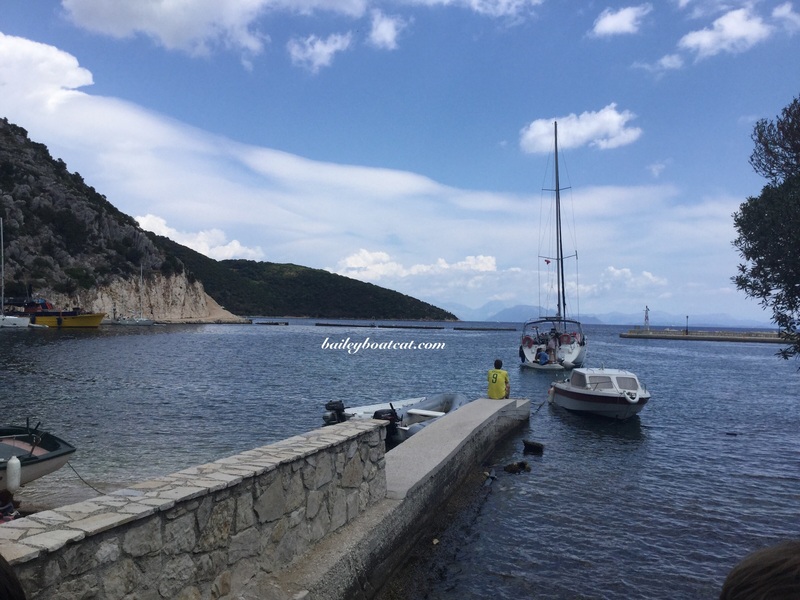 « We’ve arrived in Fiskardo! Looks idyllic , that clear water. Enjoy the peace. That water colour, wow!! And it drops off to deep so quickly too. I knew you would love the Greek isles. That is so beautiful! 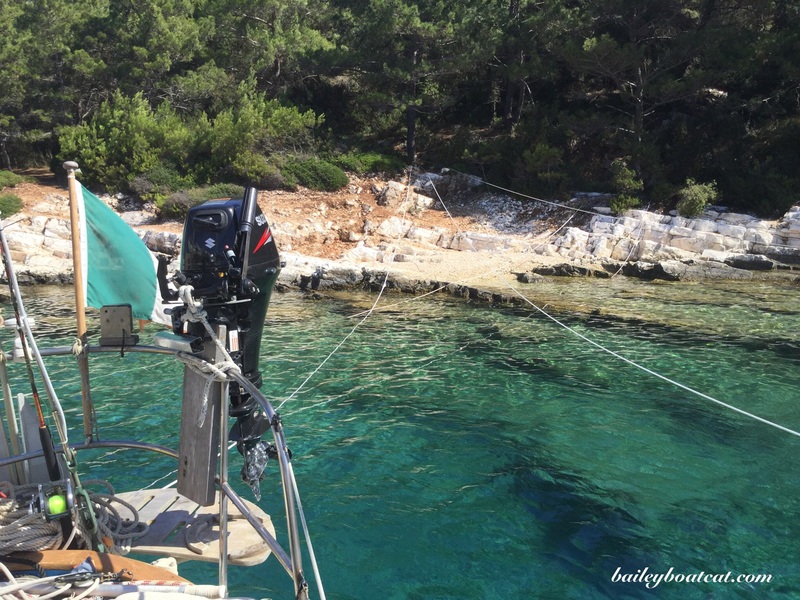 Really gorgeous Bailey……that water is clear as a bell and you and your parents found a lovely and private little spot to enjoy the breeze and swimming and picnics! Wow, What a lovely place! Could you give the coordinates fo this “paradise” please. have a good time! what a beautiful place! Glad you are having a nice time and I’m sure you are all happy to be back together. This sounds like an idyllic spot to spend some time! Happy that you are happy….. ! Beautiful water and white rocks. 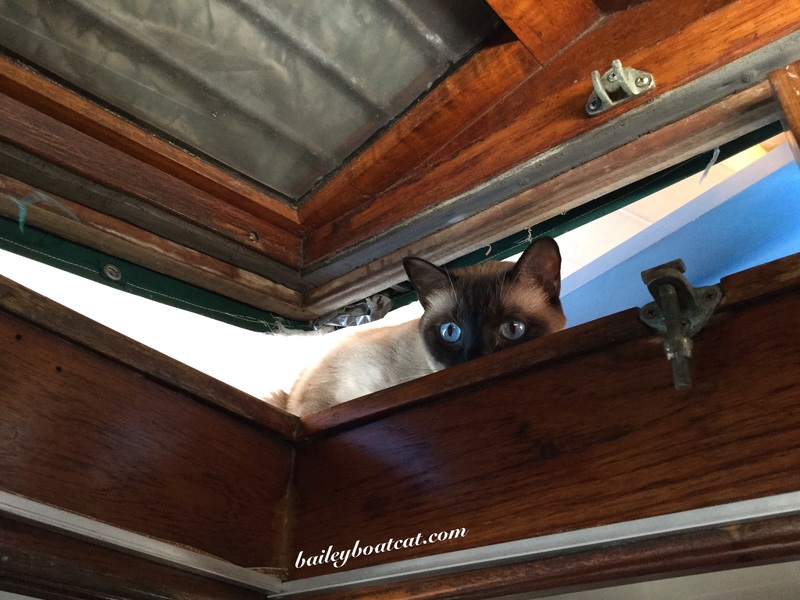 Bailey you are one lucky cat! Could you show us your flag? Looks like a neat little spot. Don’t stress if you can’t reply to all your messages!! You needs to enjoy your time! You sure do have a lot of adventures in your life. Enjoyed the beautiful pictures. It does look lovely there.